An outstanding rose over 150 years old, so has definitely stood the test of time! Formed the basis for many of the newly bred shrub varieties. Gorgeous fully double violet purple flowers are packed full of petals, producing big flowers. Quite vigorous, it will grow to a height of 1.5M x 1.2M, so works well at the back of borders. 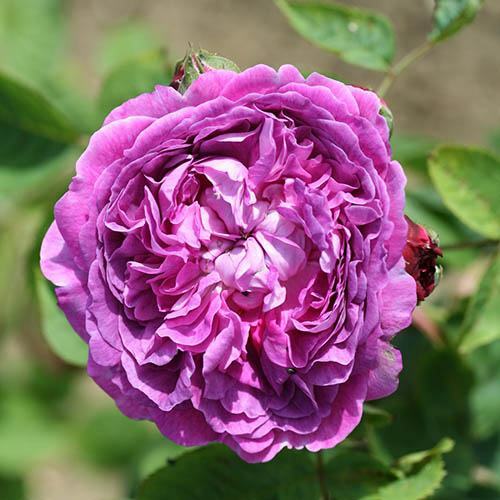 An outstanding rose over 150 years old, so has definitely stood the test of time, and formed the basis for many of the newly bred shrub varieties. Gorgeous fully double violet purple flowers are packed full of petals, producing big flowers of high fragrance, produced repeatedly all Summer. Quite vigorous, it will grow to a height of 1.5M x 1.2M, so works well at the back of borders for impact in Summer.